Childhood obesity is a serious health condition that negatively affects children’s health and well-being due to excess body fat. 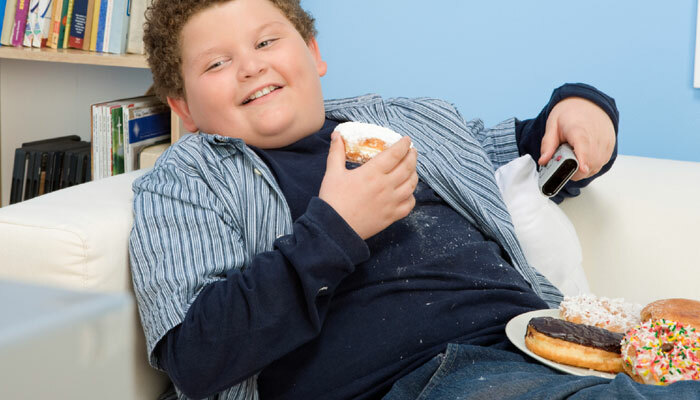 In the US, it is estimated that one out of every five children is overweight or obese and the number is growing. Childhood obesity puts children at risk of developing serious health problems such as high blood pressure, diabetes and heart diseases later in life. It can also lead to depression and low self-esteem. Unhealthy eating habits, lack of physical activities and sedentary lifestyles are the major cause of childhood obesity, although there are some genetic and hormonal factors that contribute to it. Parents’ lifestyle can have a huge impact on their kids since children learn best through example. Hence parents need to adopt a good and healthy lifestyles too. Below are a few tips to help your kids avoid being overweight. Healthy eating habits: Encourage your child to eat healthy foods. Provide them lots of fruits, vegetables and whole-grain products. Ask them to drink plenty of water instead of sugar-sweetened drinks. Include low-fat dairy products, lean meats, poultry, fish, beans in their diet for protein. Breakfast: Never let your child skip his/her breakfast. This is the most important meal of the day. Studies have linked eating breakfast with maintaining a lower body mass index (BMI) over time. Also, eating cereal for breakfast regularly has been linked to healthy weight in kids. Frequent meals: Give your kids smaller but more frequent meals. This will keep them away from being overly hungry and therefore from reaching for more caloric junk food. Physical activity: Encourage your child to stay active everyday. Research suggests that children and teens should participate in at least 60 minutes of moderate-intensity physical activity most days of the week. Plan for a family physical activity time on a daily basis such as, brisk walks, bike rides, swimming, active games, etc., Limit the amount of time children spend on TV and computers. Check-ups: Take your child to a doctor for child check-ups at least once a year. This will help determine their ideal weight preventing them from becoming overweight as well as protecting them from other health problems.